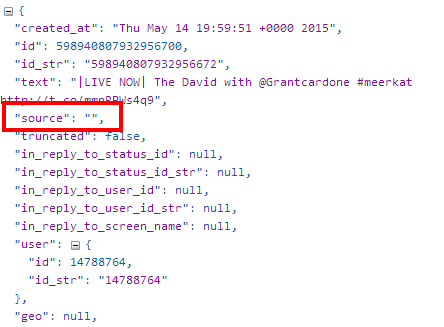 One of the little known ways of refining a twitter search is by the source – which app was used to send the tweet? For anyone dealing with breaking news this can be useful for verification. Imagine a forest fire. 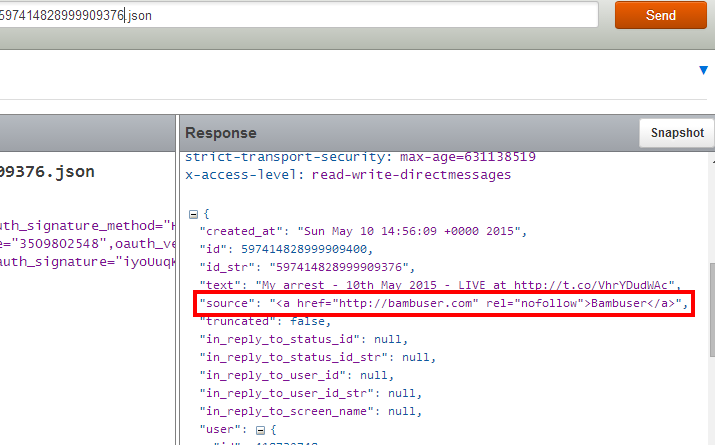 There is someone who says they are tweeting live from the scene…but their tweet is sent from the Twitter.com website. That would make me wonder if they were there -how have somehow got full internet access in the middle of the forest? If the tweet was sent from the Twitter iphone app, I’d be more likely to believe they were there. This is not a great example, but I hope you can see there are times when you’d want to be able to filter your search down to tweets sent from a single app. In the case of live video, this could be particularly pertinent. 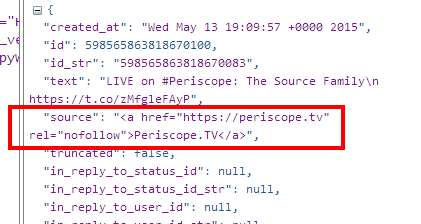 Imagine you are a journalist looking for live video streams from an event… while you can add the word “periscope”, “bambuser” or “meerkat” to your search (and you would get good results because they tend to be hashtagged and appear in the link URLs), searching for them by source is not entirely intuitive. I tried a search for source:periscope – no results. I tried source:periscopeco (their twitter handle) and source:”periscope” (where there are spaces in an app name – such as “Twitter for iphone” – the search needs straight quotes either side of the name of the app, for instance: source:”twitter for iphone”. Still no results. Whether this is a result of Twitter’s famous spat with Meerkat, or of Meerkat not adding the details to their app (perhaps to prevent Twitter being able to filter them out), I cannot say – but you can’t search for “”! Twitter search does not allow you to just search by source – it has to be combined with another operator (I have chosen “Live” as a good search term to go with it).